Royal Canberra Golf Club offers a progressive program for children aged between 6 and 17 years who are interested in learning and acquiring the skills necessary to develop a lifelong love for the game of golf. Structured tuition is an essential part of the program with weekly practice sessions and on-course experience provided for Juniors and Cadets to participate in a fun and encouraging environment. During the school terms and school holidays, Junior & Cadet Practices are conducted on weekends and are open to Members and non-members. Working in small groups of 6 – 10, the sessions target development in all areas of golf from physical literacy, the basic elements of the game such as putting, chipping and the full-swing, playing skills, social behaviour and etiquette. Non-members may participate in the sessions for $20 per child. Before participating, non-members must contact and be assessed by the Junior Development Coordinator, Damon Welsford. Golf clubs are available to use during the clinics if required. Our on-course experience gives juniors the opportunity to play golf with the support and direction of our Golf Professionals. Please check-in at the Golf Shop 15 minutes before tee off. Contact the Golf Shop on (02) 6240 2250 to book a place. To enhance the delivery and learning experience of Cadet and Junior Golfers we have divided the program into two major groups. The separation is mostly based on skill level and assists the Professional to communicate and conduct the session effectively to the overall level of the group. To allow for natural development of on-course playing skills and confidence, the golf course length needs to match the skill level and distance the golfer can hit the ball. Like Goldilocks and the Three Bears the course length needs to be just right for the golfer to develop. If the course is too short or too long for the player, development can be impaired. The Royal Canberra Golf Club Junior Program is comprised of levels that progressively transition from beginner to advanced levels of skill. The categories are: Cadet C, Cadet B, Cadet A, Junior Development and Junior Elite. Progression from one category to the next is assessed on handicap, skill competencies, rules knowledge, etiquette and social behaviour. *Requires full Junior Membership subscription. 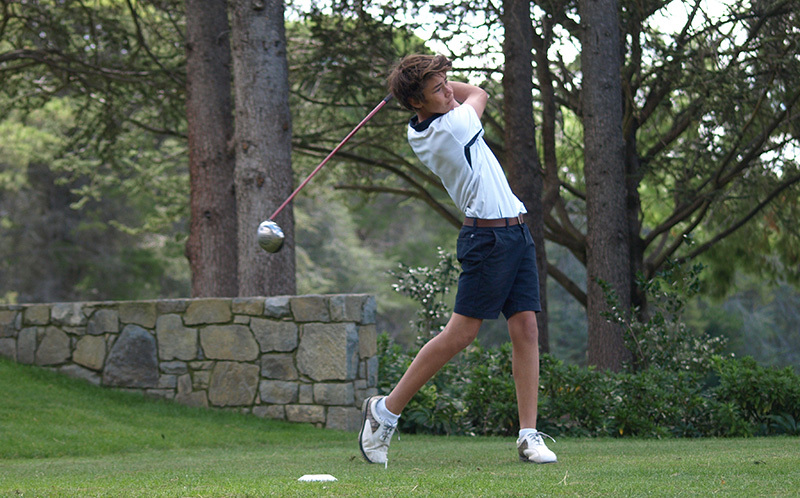 During the school holidays the Junior Golf Program will run similar to a training camp. These training days are longer in duration and allow for multiple sessions throughout the day. Sessions include: long game, short game and on-course play. Our Cadet category of membership is designed to assist and develop young people in both practice and play. Cadet Membership is for a maximum period of two years (4 x 6 Monthly Cadetships). Junior Golf Program Code of Conduct will be required to be signed by both a parent and child participating in the program. Practice sessions will be provided by one of our PGA teaching professionals at no extra cost to Members. All behaviour and course etiquette will be carefully monitored by the Junior Development Coordinator and Golf Shop Staff. We look forward to welcoming you to our Junior Program.